WiFi standard has a new update to it recently. Referred to as WiFi 6, or the WiFi 802.11ax has been designed to provide you with an outstanding experience in terms of speed and reliability concerning your wireless connections. Of course, the new standard has been launched and made available for the manufacturers, but where are the routers that support the technology? 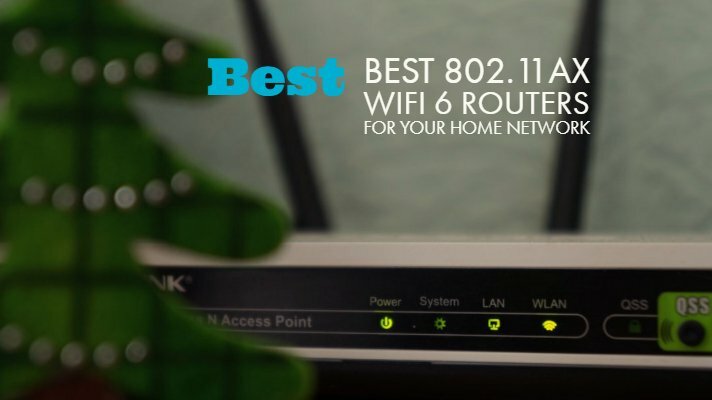 Here are a few best 802.11ax WiFi 6 routers that you can buy today off the shelves. Read to know more! Related: What is WiFi 802.11ax Standard? New routers that come with a WiFi 6 compatibility can provide you with several advantages. However, before we can move ahead to list out the best routers with support for WiFi 802.11ax, let us understand what WiFi 802.11ax is. Well, as you might have understood by now, WiFi 802.11ax is the new standard and also referred to as WiFi 6. The new standard has been designed to act as a replacement for the aging Wireless-AC and Wireless-N standards. The standard has been touted to provide better speeds and performance improvements. Some notable improvement includes in the realm of four times faster speeds, a better performance even in the crowded atmospheres, enhanced capacity levels (up to 25% more), an excellent low-latency performance (up to 20% lower), and power efficiency. So, should you upgrade to the new standard? The 802.11ac routers are still one of the right options and offer you a formidable performance. In fact, they may even receive firmware updates to improve it further ahead. So, if you have a WiFi 5 or 802.11ac router and it is working fine enough, there may not be a need to opt for an upgrade so soon. 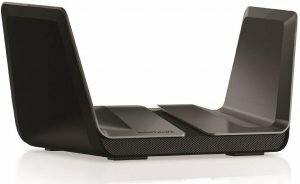 Having understood that, here are a few top end choices for the best WiFi 802.11ax routers you can opt for. The router comes equipped with a 1.8 GHz Quad-core along with 1 GB of system memory. You can be assured of excellent Gigabit speeds. The unique shape in the form of wings is perhaps one of the features you would love the most and will provide a unique look to your décor. The router also comes with backward compatibility with the older standards like 802.11 a/b/g/n/ac. The Netgear router can accommodate more users simultaneously and thus provides you with more capacity for the growing needs of your home network. It can offer you access to 8-Stream WiFi with up to 1.2Gbps + 4.8Gbps speeds. Setting it up and managing it should be straightforward enough with the Nighthawk companion app so that it can be controlled remotely. 6 Gigabit Ethernet ports provide seamless connectivity and uninterrupted performance. 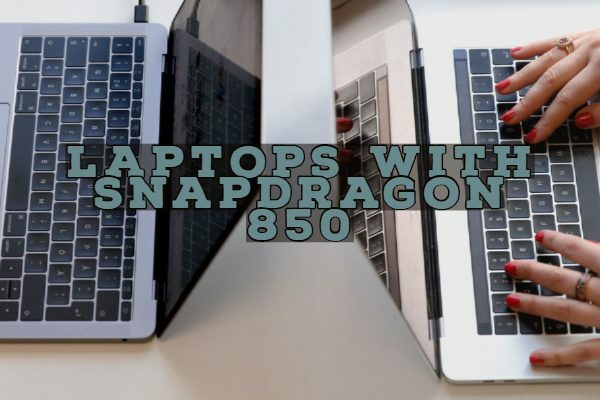 You can even have eight simultaneous connections that would assist you in transmitting to multiple devices without worrying about the bandwidth. The router is backward compatible with all the previous standards and supports all primary WiFi devices. 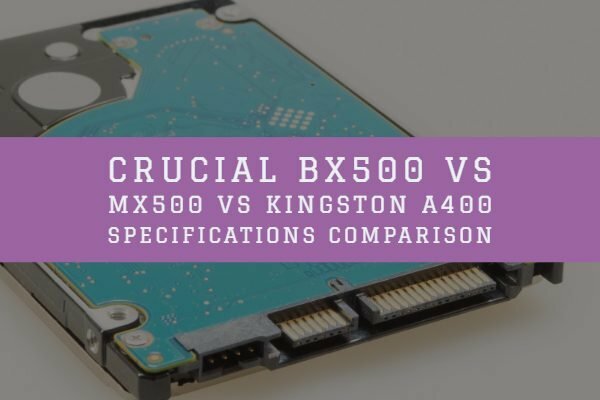 It combines the OFDMA and MU-MIMO technology and is capable of providing you access to up to four times better speeds when compared to the previous generations. Each of the channels is further divided into subchannels and thus can help you provide increased signal coverage and range improvements. The Adaptive QoS helps you prioritize the game packets for providing you with enhanced online gaming performance. The router gives you access to professional grade security for your home systems in the form of AiProtection Pro. Eight Gigabit LAN ports should make it a formidable choice for connectivity with multiple systems simultaneously. A 1.8GHz 64-bit quad-core CPU powers the router and thus should bring an excellent performance. You can expect streamlined and enhanced networking performance and an accelerated USB data transfer with the router. 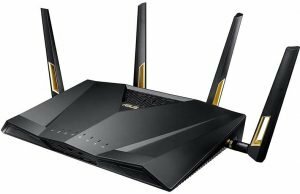 If you are looking for the faster speed performance, higher capacity and a more extended signal range, the TP-Link Archer AX6000 8-Stream Smart Wi-Fi Router should be one of the excellent choices. 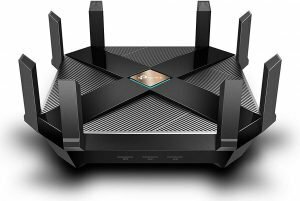 The device is the first AX router from TP-Link and supports streaming 4k/8k movies, online gaming, experiencing VR, or engaging with your smart devices. 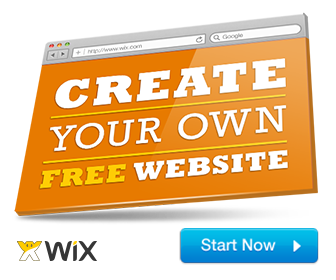 It offers you access to blazing WiFi speeds up to 6 Gbps. Equipped with OFDMA and AX MU-MIMO technology, the router can provide you speeds up to four times better than the traditional routers. Access to eight high gain antennas will ensure that you will have better access to the powerful throughput. The Rangeboost and Beamforming technology can go a long way in promoting your signal reception. Demanding tasks should be a cakewalk with the 1.8 GHz 64-bit quad-core processor and 1 GB of RAM capacity. The active content filtering can be one of the prominent options for filtering sensitive content in tune with the present age groups. 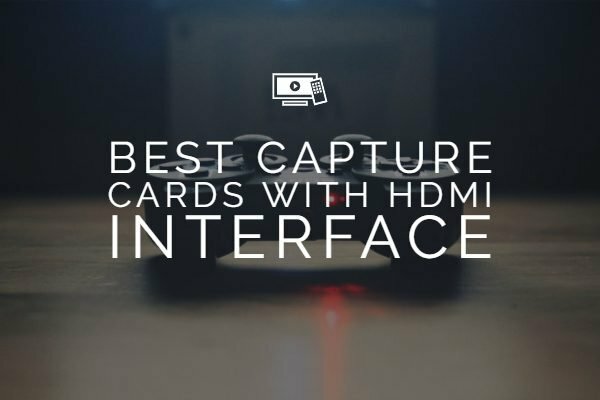 This can also be a good option to work with your smart devices. This is the best option for triple level gaming acceleration. The router provides you access to Tri-band networking functionality that enhances your experience. Equipped with outstanding hardware in the form of 1.8GHz Quad-Core CPU and 2.5G gaming port, you can be assured of the cutting edge technology for ultimate performance. The ASUS AiProtection security will ensure the protection of your device from a host of issues of network breaches or other threats that can be dangerous. 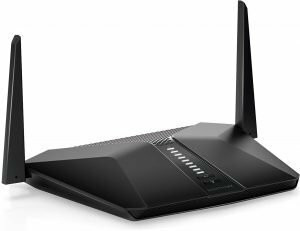 The router is backward compatible with older standards like 802.11a/b/g/n/ac. 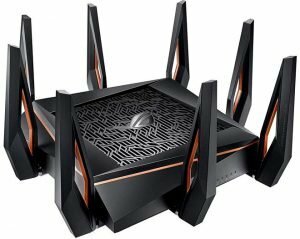 The ASUS router is also compatible with your own ASUS AiMesh Wi-Fi system that provides you access to a complete seamless home network. The router can unlock 15 channels in the least-congested 5GHz bands. How to detect the 802.11ax routers? Well, most of them come with designations like AX6000 and AX11000. These numbers indicate the total sum of data that all the bands in the router can transmit. An AX6000 WiFi router offers you AX compatibility with one 2.4 GHz and one 5 GHz bands. The AX11000 nomenclature will mean it has one 2.4 GHz and two 5 GHz, bands. Well, the 802.11ax is indeed one of the prominent options and a game-changing, performance-oriented choice in the WiFi technology. Of course, there are only a few players that have come up with their versions of the WiFi 6 or 802.11ax routers so far. We would expect new routers being marketed by the players like D-Link, Linksys, and Xiaomi among other players. We will update the list when new WiFi 6 routers are launched by the other prominent players we just mentioned. However, if you are checking out buying any WiFi router, opting for an option that has compatibility with the new standard should be more practical.